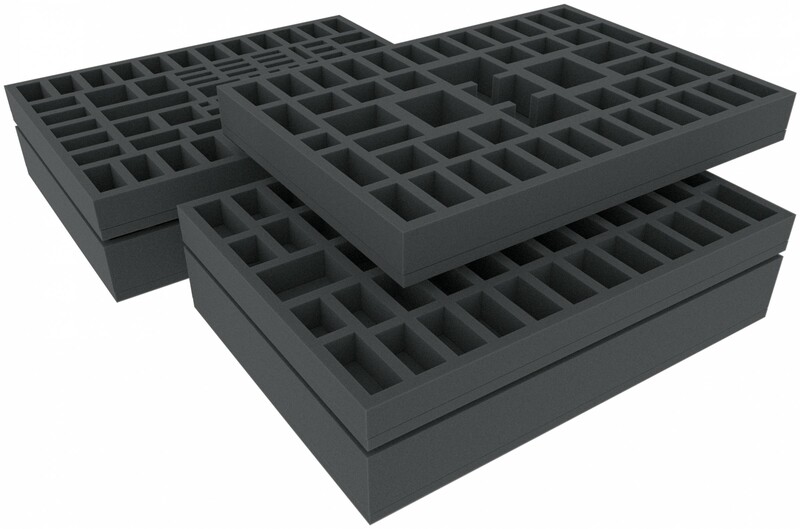 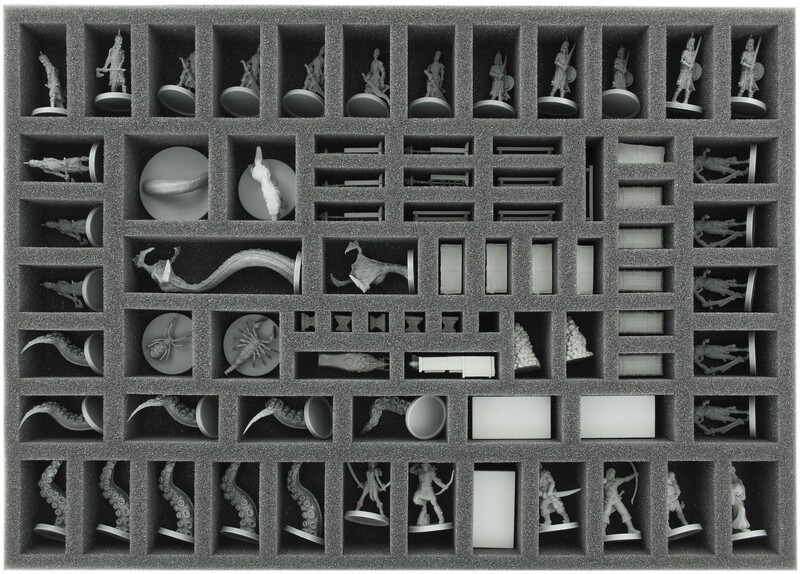 Specially designed foam trays for the Conan Kickstarter King Pledge, all stretch goals and the EXCLUSIVE ADD-ONS: Giant Wolves, Vanir Valkyrie!, Sabretooth-tiger, Baal Pteor, Black Dragons and Demon of the Earth. 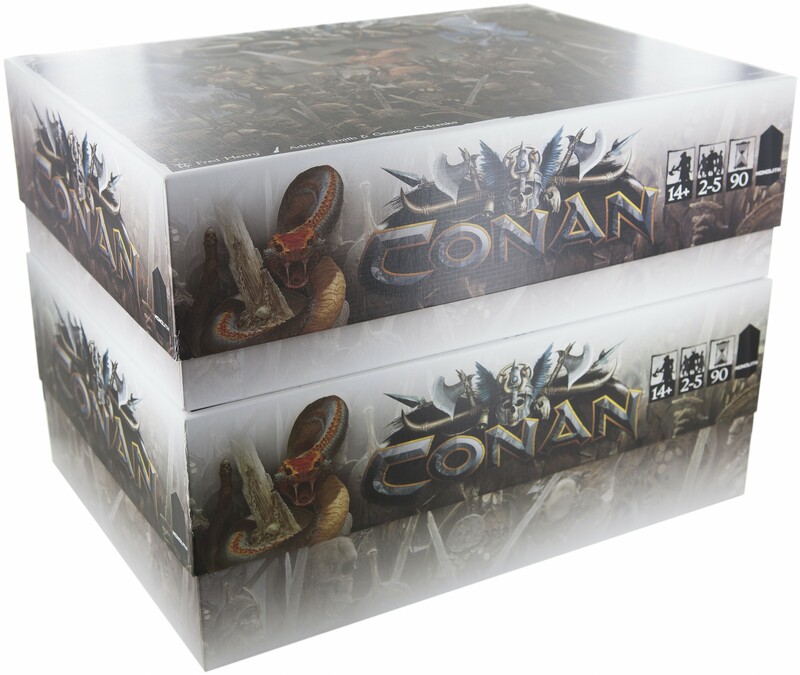 The inserts fits into the original Conan and the Stretch Goal box. 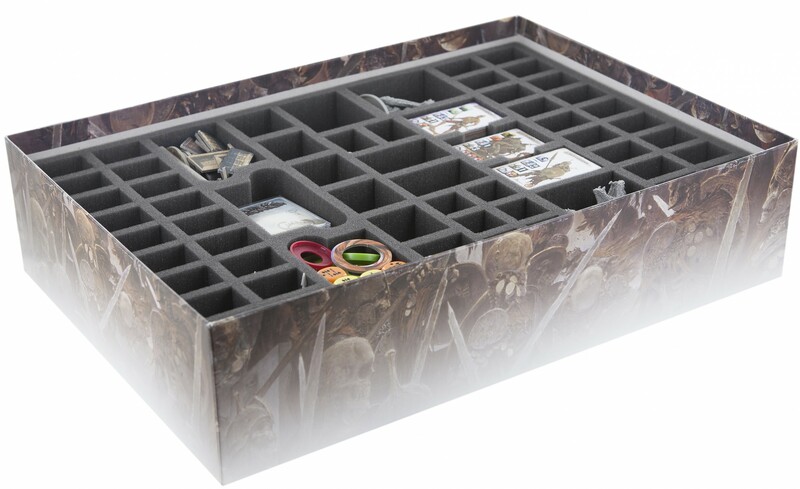 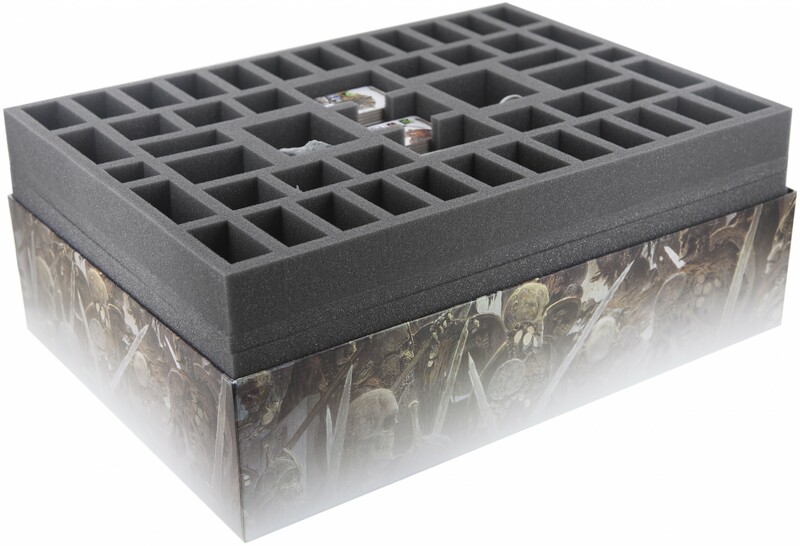 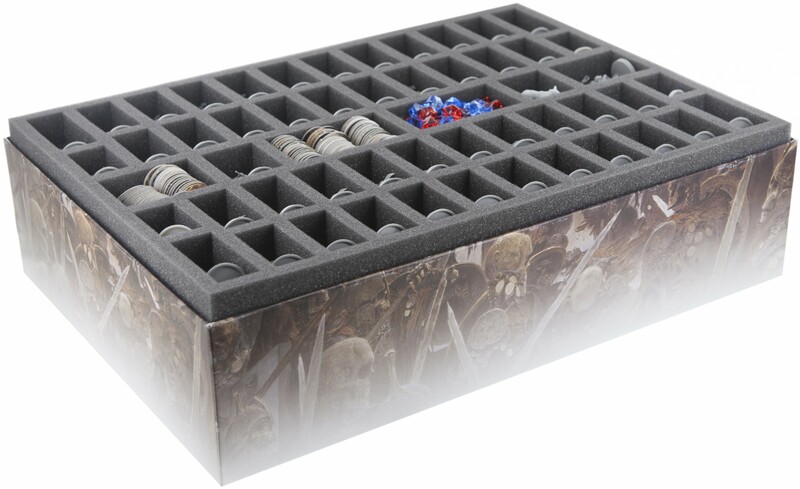 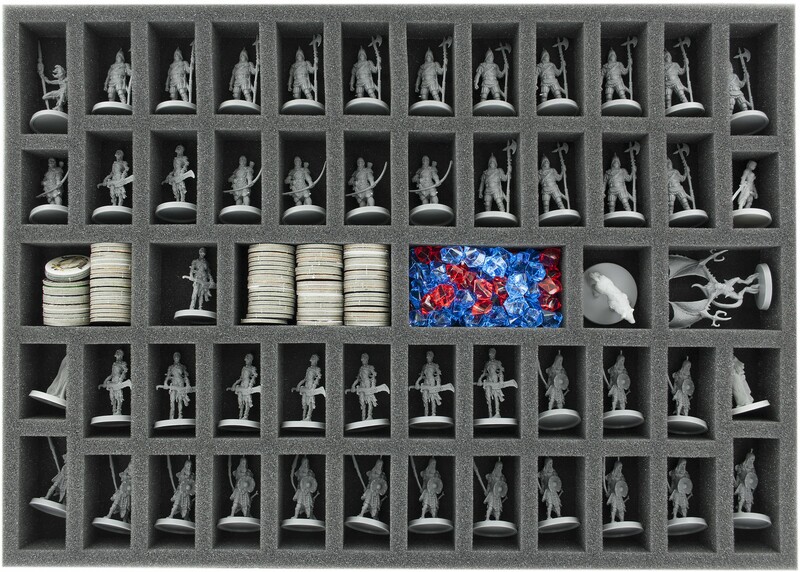 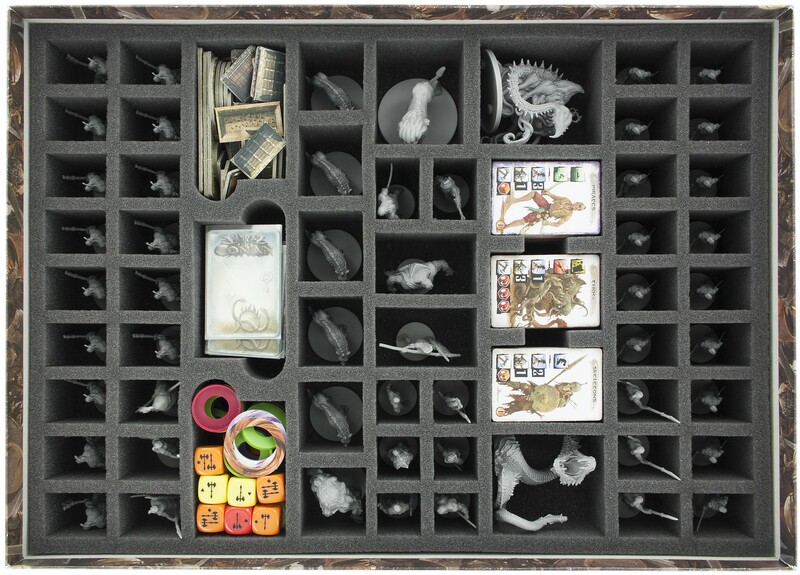 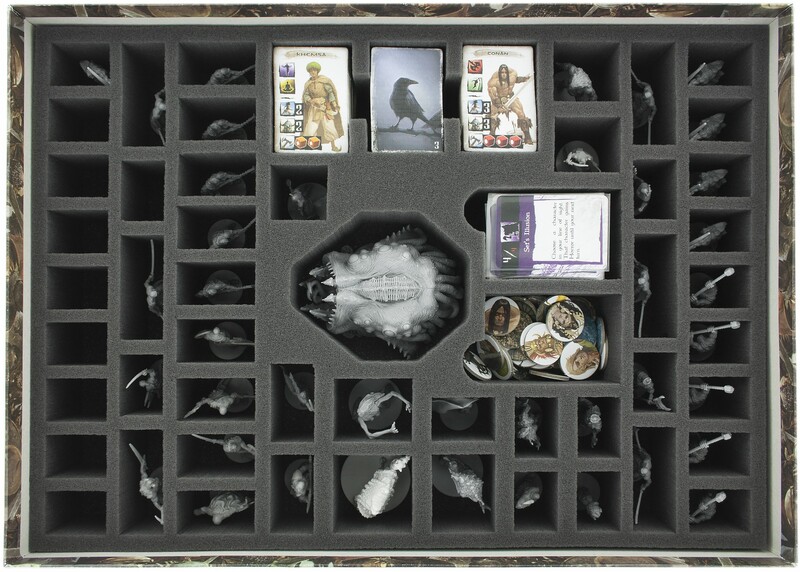 The foam trays provides a great solution for protecting all figures, cards in sleeves and tokens from the King Pledge and the EXCLUSIVE ADD-ONS. 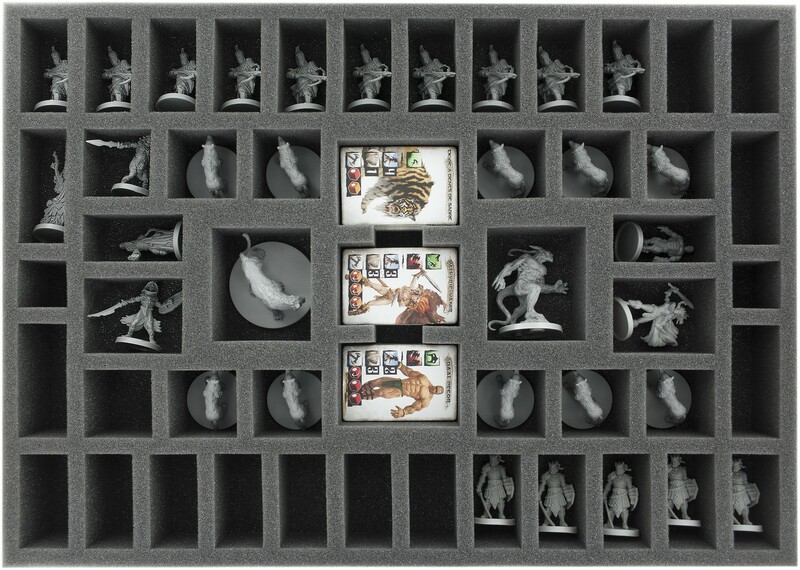 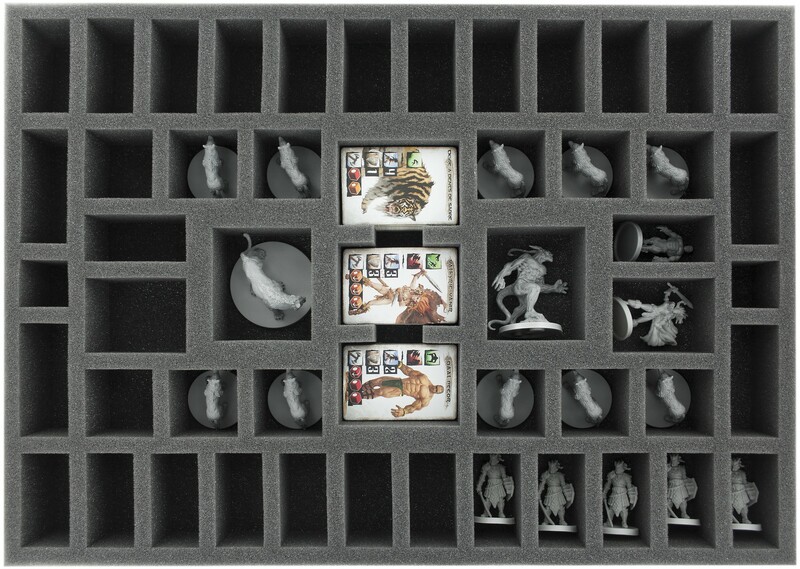 In addition, up to 35 miniatures, so for example the miniatures from the Crossbowmen expansion easily fit into the foam trays. 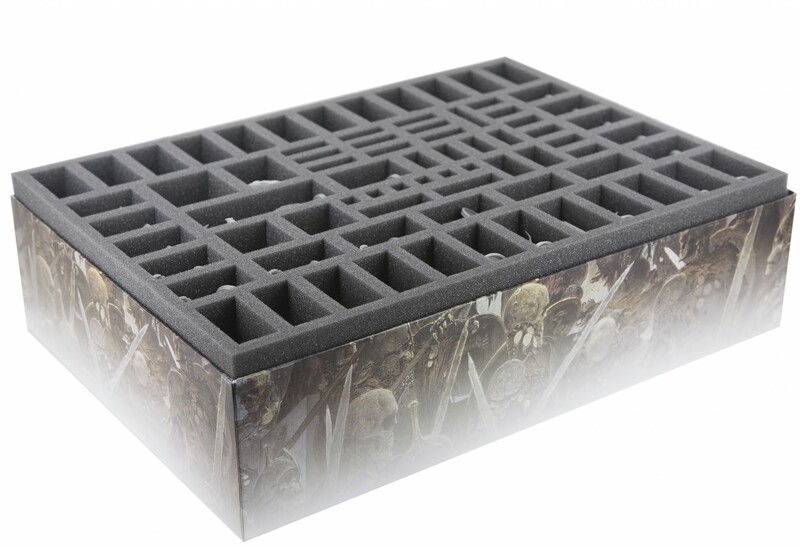 Foam extends over the edge of the board game boxes.